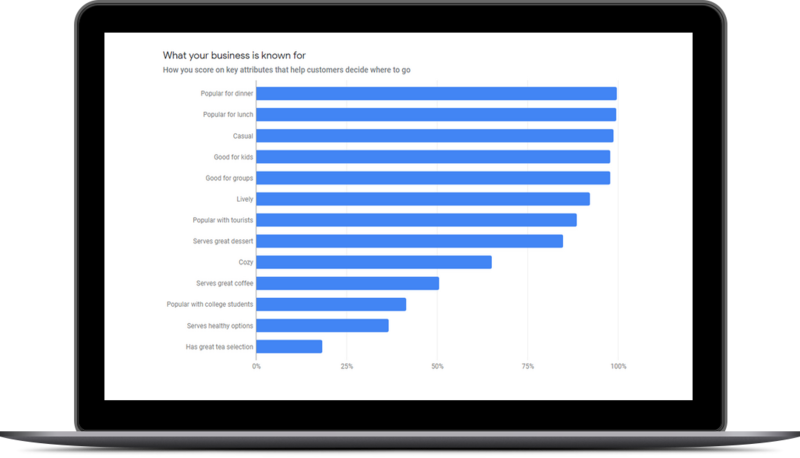 The “What is your business known for” section of Insights on the Google My Business platform provides customers’ opinions of restaurants and other food service businesses (e.g. cozy, romantic, or notable cocktails). Since customers’ opinions are based on their experience, the information is subjective. Google considers the information to be valuable to other customers, as it describes the feel & ambiance for your local small business. Unless proven false, Google won’t remove this information. For website developers like Pegasus Ventures Michigan these insights help guide search engine optimization. As the information generally comes from off website opinions smart web design includes customer created content to match existing content attracting more people to the website.